Fiat market share in Europe has been falling steadily from 2009 through 2014, and the brand has lost over 2 percentage points of market share during that period. In a market already in decline, that translates to losing almost half their volume in four years time! In 2015 and 2016, the Italian brand recovered with 12% and 13% growth respectively, faster than the overall market. The reason for this steep decline is clear: an aging line-up. Fiat CEO Sergio Marchionne, who has saved Fiat from bankruptcy back in 2004/2005, said that he thinks it’s a waste of money to introduce new models in a depressed market. So he has held back development of new models for both Fiat and Alfa Romeo, and he tried to fix Lancia’s lack of (new) products by selling rebadged Chrysler models in Europe. The only new models between 2010 and 2014 were the Fiat 500L midsized MPV in 2012 and the new generation Panda minicar in 2011. And even then the Panda continued to decline every year from 2011 to 2014 before recovering slightly. Meanwhile, the Fiat 500 is the only Fiat model whose sales haven’t dropped dramatically in the period, despite being on the market virtually unchanged from 2007 to 2015. In fact, the 500 recorded its best sales ever in 2014 as a sign of lasting success for the retro design. Its 2015 facelift was therefore only very minor. Marchionne may say this proves his right, that it is pointless to introduce a new product in a market that is down, but I believe it’s due to the product itself. The previous generation Panda was smaller, cheaper and had the normal 4-cylinder engines, while the new generation grew bigger and was more expensive, while the Panda’s strength was the great value-for-money. But one of the biggest disappointments was the 0,9 liter 2-cylinder twin-air engine, which sounds like a coffee grinder and may be fuel efficient in theory, but is only quick enough in traffic when pushed far beyond its frugal rev band. This same engine is supposed to power the much larger 500L, which gets a much more powerful 1,4 liter 4-cylinder turbo engine in the United States. This engine may be less fuel efficient in the official test cycle, but I don’t think there would be a big difference in fuel economy between these engines in day-to-day driving, while the 4-cylinder surely is a much nicer engine to drive and to hear. Future products of Fiat will be based either on the 500 family for “emotional and aspirational” models or the Panda family for “rational and functional” models. The venerable Punto was once a very successful model in Europe, but has fallen behind due to lack of a new generation since 2005 and has been made uglier with each of its numerous facelifts. It was supposed to be replaced by a Fiat 500 five-door in 2016, but that project has been delayed a few times. A 500X small crossover based on the Jeep Renegade was launched in 2015 and helped the brand recover some of its losses. The Bravo and Linea were phased out in 2014, both were replaced by the Fiat Tipo hatchback, sedan and station wagon built in Turkey, and which is proving to be a surprise hit for the brand. Fiat also introduced the 124 Spider in 2016, a low-volume two-seater roadster based on the fourth generation Mazda MX-5. 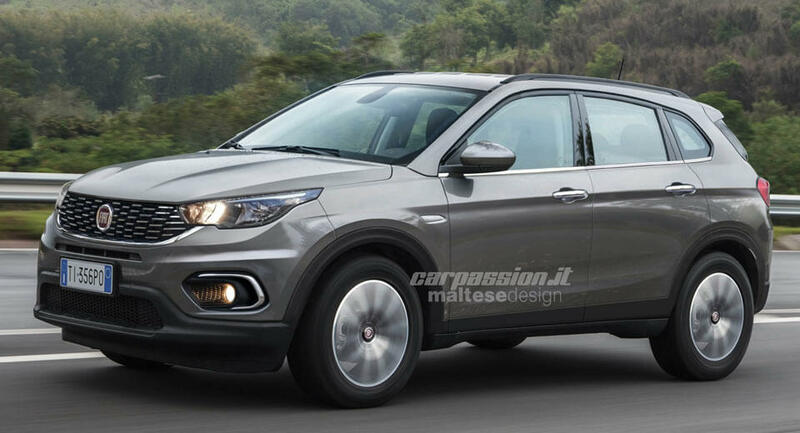 A compact crossover to compete with the Nissan Qashqai is promised to arrive in Fiat showrooms in 2017, but again: there hasn’t been much news on that model lately, as FCA focuses on reviving Alfa Romeo and boosting Maserati. Read more about Fiat’s product plans from 2013 to 2018 in this official presentation. Also find Fiat US sales figures and Fiat China sales figures. Use the dropdown at the top right of this page to find sales figures for the Fiat 500, Panda, Punto, Tipo, 500L, 500X, Freemont, Qubo, Doblo, Talento, Ducato, 124 Spider, Seicento, Sedici, Stilo, Bravo, Linea, Croma, Idea, Multipla, Ulysse, Scudo and any other car model sold in Europe since the early 2000’s. Thanks for the sales information. I have been a Fiat / Lancia enthusiast since the mid-1970’s. I have been increasingly baffled by Fiat’s decision not to introduce an all-new Punto replacement. They used to be a driving force in the supermini class with the 127, Uno and Punto but it seems that this 40+ year long era is coming to an end. I am also concerned by the increasing presence of American Chrysler cars in Fiat Auto’s line-up. Chrysler have been bankrupt and I don’t think the cars they offer will do Fiat any good in the long run. Finally, I’m very saddened to see the apparent imminent demise of Lancia. This marque has been such an inspiration for me over the years with the cars I’ve owned – and continue to – and their unrivalled rallying success with the Fulvia, Stratos (what a car that was! ), 037, Delta S4 (see Stratos comment) and Integrale. There’s nothing in Chrysler’s heritage which remotely comes close to these fantastic cars. Indeed it is hard to contemplate how they can so simply forgo their highest volume segment and a model that sold as many times in 1997 as the entire Fiat line-up sold in 2014. Even as recent as 2006, the Punto sold more than 400.000 units in Europe. The Fiat 500, their current best selling model, peaked at 180.000 sales last year, less than half of that. Like I wrote, Marchionne believes it’s a waste of money to develop cars that will be introduced during a market crisis, but a drought of new products has obviously led them to lose half of their volume, and I can’t imagine that’s not even more costly. Comments from Marchionne such as these plus his eagerness to marry Fiat Chrysler to a much larger competitor make me wonder if he is really less a capitalist than a corporatist. Seems his objective is more to create a Fiat-Chrysler-You-Name-It that is more like a state unto itself. The problem is that the heart of his imaginary corporate state, the Duchy of Agnelli-Fiat, is decadent and decaying. It would be nice to add table with YEAR,MODEL,VOLUME, PERCENT so we can see how 500 or Punto contribute to whole Fiat sales through years! The Fiat Punto is now down to 49,000 annual sales in Europe, quite embarrassing. They need to introduce the Fiat Argo in Europe as the new Punto in my opinion to boost sales, it looks like a decent car.